Dragon Ferren is the leader of the Dragon Masters and he is a close companion to Lord God Marduk. In this following channeling you will learn more about the dragons and their wisdom including the Dragon Riders and Dragon Lords. Ferren: “Dearest Nanaea, welcome to my thoughts. It has been a while since we have met like this, has it not? I am glad you have come as I have called to you for some time because there are important things that I want to tell you. I need not state the obvious that your world is changing and there are many horrific events taking place which you know are a sign of the changes for the new world is pushing its way into your consciousness at a very fast rate and as you know, what will be will be. There really is no time to contemplate the effects this will have on humanity during this moment in time but in the long run this is what is totally needed to bring the desired outcome. It cannot go on any more. 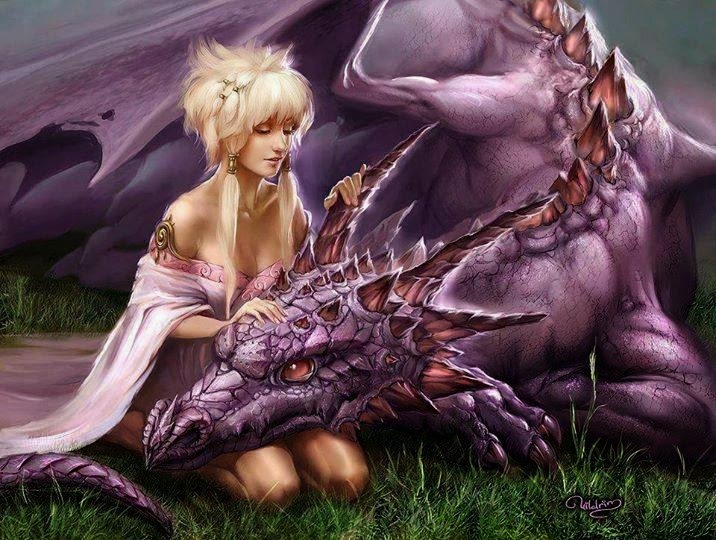 Sadly, it is taking time for the human Dragon Riders to rise above their human status that is, that part of themselves that is afraid of becoming more than human for they do not have the courage as yet to take a stand as the guardians of Earth and summon their own inner dragon which burns as an eternal fire within them. As the Cosmic Knights on Earth await their awakening, there is hope and the immortal Dragon Lords are continuing to make arrangements on Earth so that the merge of your old world consciousness and that of the new world runs as smoothly as possible. Ferren: “Of course I can my Lady Nanaea. We are an ancient order of mystic warriors who taught dragon wisdom which is a very sacred system of divine knowledge. The Dragon Riders are those who learned to travel the astral planes using their chariot which is also known as the ‘Merkabah’ after having trained in the mystic way of the Dragon Lords. You see, dragon wisdom is a way of life and you will find that through time the Dragon Riders have taken on various names such as the Order of the Dragon, Rosicrucian’s, the Priests of Melchizedek and the Order of the Rose. Their direct teachers were Dragons and the Dragon Lords whom we are companions of and whom we also taught. We are not reptilian in the sense of the reptilian species from off the planet. Long ago there was a confusion between dragons and the reptilians because the ancient reptilians could fly meaning they had wings, especially the higher ranking ones. Our empowerment comes from the Shekinah and it is from her that we have been rewarded with our fire though there are dragons of the different elements such as ice and snow, water and earth. We each have our own talents and attributes but each of us has the ability of air and fire and we are all members of the way which is the Path of the Dragon. Ferren: “Yes, my Lady Nanaea. As I have said, those who follow the ancient serpents path and have dedicated their lives to the study and implementation of the sacred mysteries. They are those who have gained knowledge of the Logos of the gods and who live by their creed and divine laws and who walks the path of spiritual purity, this path being the serpents path or middle path or Dragon Path. They are the ones who are in the process of slaying the dragon within meaning the beastly side of themselves that controls them which could be called their ego. Yet it is more than this, even: it is the mortal side of themselves that they cannot see beyond and the great Earth dragon that resides within them must obey and submit to their divine selves, the celestial, almighty Mother Dragon, in order for them to surpass the barrier between their world and the cosmic realms. They must rise above Earthly consciousness by slaying the chaos within. They must submit completely to the Queen of Heaven who is the Shekinah and the power engine of all life for it is she who is the Mistress of all the gods and it is she who is the true master of your world and as she is also the Tree of Life, through submitting to her, one is able then to climb the tree in order to reach the highest rank of spiritual enlightenment and as a reward, he or she is gifted with the crown and a throne which is the true Merkahbah, the carriage that can carry them between worlds, out of Earth consciousness and into the realms of the gods. These are called the Dragon Riders who journey alongside the Dragon Lords (and Ladies) that are the Anunnaki gods or as known to some as the Elohim. Ferren: “Lady Nanaea, within her, and you know who she is, is stored the coding of all wisdom which even she must strive to unlock the gateways to this knowledge. She has been sent to provide humanity with the divine Thelema of the gods and to teach their ways to fellow humans. She becomes a reflection of the divine womb on Earth in matter and she must be entered in order to unlock the divine mysteries which are then planted within the heart, souls and minds of the children of the gods and the true masters who have observed and kept the divine laws and who have kept in service to the gods by serving humanity. Ferren: “Because she is the divine Bride, she must marry the divine Groom who also carries the seeds, through the act of the alchemical divine marriage which will disperse these seeds throughout Earth consciousness each time they make love. He represents all of humanity and by making love with her mentally, emotionally, physically and spiritually, she is marrying humanity all over again and entering their consciousness permanently. Each human being also contains one egg of the divine Bride and one seed of the divine Groom within them and from their love making these two will join together and the new Tree of Knowledge of Good and Evil shall grow within them as a reflection and communion with the regrown Tree. The Dragon Riders are the manifestations of the Dragon Lords who are the hosts of the ALL and I mean host because they carry within them the Logos because they have been transformed into matter in order to carry the Logos to all planets in the universe and they are the representation of the Logos. The Logos is both male and female and was manifested long ago in the form of my rider Marduk (the Christ) and Inanna (Sophia or the Shekinah). They are Knowledge and Wisdom entombed within the soul of all living beings and we, the Dragon Masters, represent her fire that is the soul of the universe. Be ready, dear Nanaea; you shall hear the wedding music play for long for it was the wedding song that brought you to your love and the path that you must walk in your role. Remember the Song of songs; this is the call that you have heeded and must continue to do so, no matter how uneven the path becomes.